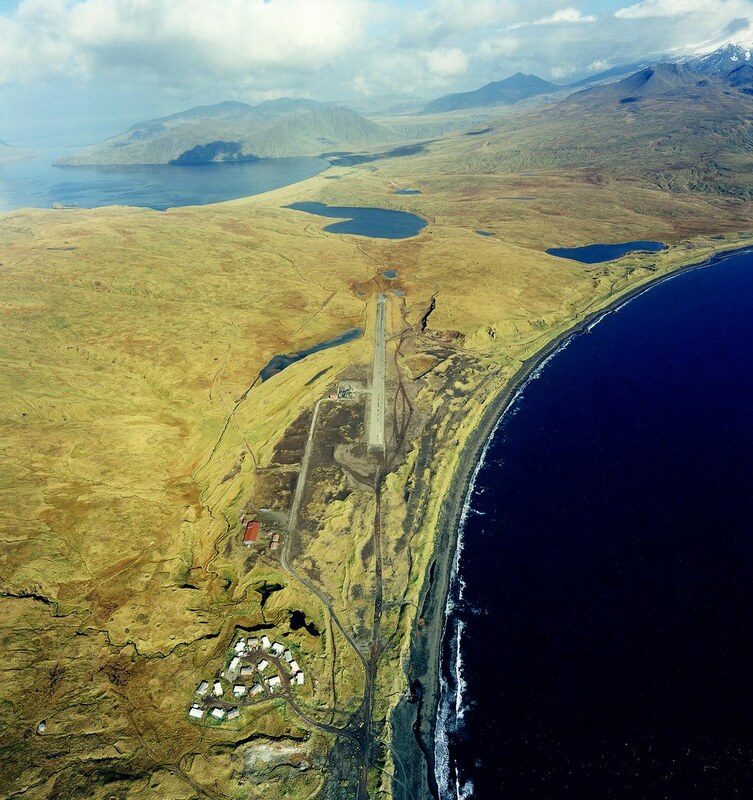 Atka Airport, on Atka Island in the Aleutian chain, was last improved in 1983. Since then, only routine maintenance has been completed, and the aircraft now in use require a larger facility to meet FAA safety standards. The Atka Airport improvement project will extend and resurface the runway in order to provide the residents with a safe, reliable facility to meet their transportation needs year-round. Reorientation of the Atka Airport was needed to improve conditions that do not meet the Federal Aviation Administration (FAA) standards and the State of Alaska’s established requirements for community airports. A short runway, deteriorated runway surface, airspace penetrations, inadequate separation distances, and extreme weather conditions combine to hinder safe operations at the airport. Atka experiences strong winds from all directions. There is no way to achieve 95% wind coverage with any orientation of a single runway, and the mountainous terrain makes a crosswind runway unfeasible. To improve operational tolerance to crosswinds, the runway will be widened to 100 feet instead the 75 feet called for in FAA’s standards for the design aircraft. PDC prepared the scoping report, airport layout plan, design, specifications, and cost estimates, and oversaw the preparation of the Environmental Assessment. During the planning stage, we evaluated the runway length, airspace, terrain constraints, and wind coverage to develop the proposed runway realignment and lengthening.